Will be posted on the school website every alternate Thursday during school terms. In it we let you know important dates for forthcoming events as well as what is happening at the school. Every other Thursday we post to the school website an information flyer. Once your child starts school, please register on the school website to receive an electronic version of these. Daily notices are read to the school before lunch each day advising children of important information, any lunchtime activities or after school sports teams/groups which they may wish to be involved or participate in. 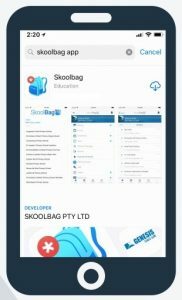 Late notice cancellations, school emergencies etc come through on our SKOOLBAG APP along with general school notices. 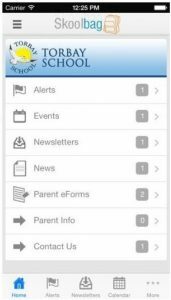 To install our school app just search for “Torbay School” in either the Apple App Store or Google Play Store and download (free) to your Android or iPhone.